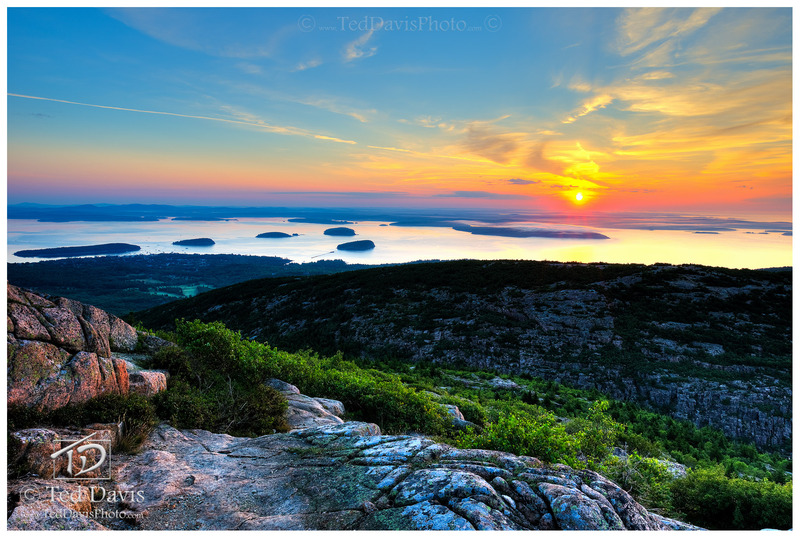 A gorgeous sunrise over the sea near Bar Harbor, Maine. The light was just breaking over the horizon as I finally found the perfect spot looking down from Cadillac Mountain, where the sun's rays first touch the eastern seaboard of the United States every day. The ocean was a-glow as I finally captured a shot I had been exhaustively chasing for months - a beauteous New England sunrise. Photo © copyright by Ted Davis.